Quantitative Ability questions from 2006/2007/2008 exam. Questions from below topics are covered in this lesson. CATapp Test preparation app for MBA aspirants in India. No ratings or reviews available yet. 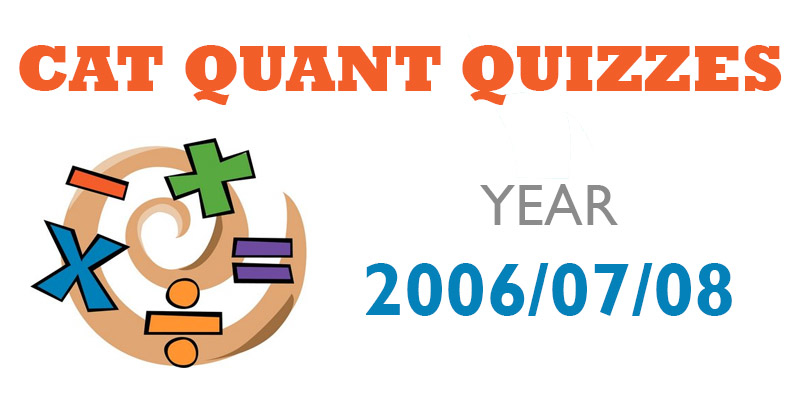 There are 3 quizzes with quant questions from CAT 2006, 2007 & 2008. Each question also has explanation about the correct answer. Attempt the questions and check the solution for better understanding. Once you are done with the lesson, mark it as completed. Join Learnapt to track your progress and discuss with other learners. Copyright © 2016 InformationWorks. All rights reserved.